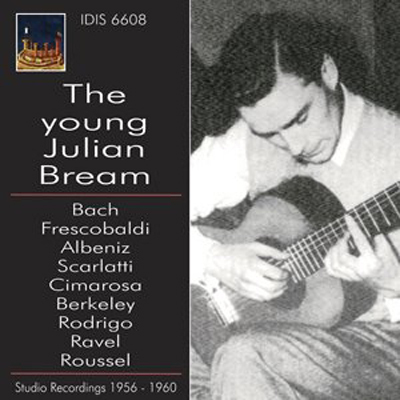 IDIS 6608 features one of the greatest and distinguished contemporary classical guitarists: Julian Bream. It seems extraordinary but the discography of his youth has been only partially re-mastered on CD. In fact, this is true to such a point that many of his very famous performances are still difficult to find today, for instance the Sonatina of Lennox Berkeley.